Golf shoes are an essential piece of equipment for anyone who is serious about this game. Could you play golf without actually purchasing golf shoes? Sure, you could. But it would probably be a mistake. Golf shoes are specifically designed to handle the needs of the golf swing in a way that regular tennis shoes are simply not able to match. In addition to the traction that is provided on the bottom of golf shoes, they also have lateral stability that is not found in most regular pairs of tennis or athletic shoes. 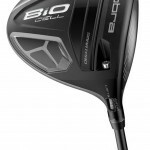 Basically, if you are serious about playing good golf, you are going to purchase a quality pair of golf-specific shoes. 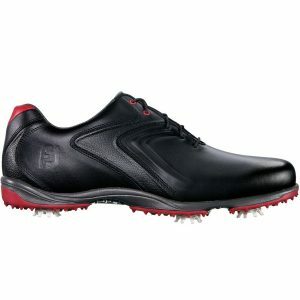 In most cases, it is going to be a wise choice to opt for waterproof golf shoes when you make your purchase. Often, golfers in warmer, relatively dry climates will ignore the need for waterproof shoes, thinking that they don’t play in the rain often enough to justify the waterproof design. However, that thinking is faulty, as waterproof shoes really aren’t about the rain at all. They are able keeping the water on the golf course away from your feet, and even courses in nice climates can have water on the grass as various parts of the day. 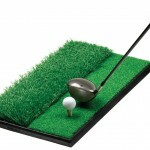 For instance, if you tee off early on a cool morning, there is very likely to be a layer of dew on the grass. That dew may not look like much from a distance, but it can actually soak your feet completely before you have even finished the first hole. Even if the dew has evaporated by the second or third hole, the damage may already be done. Once your socks and feet are soaked, they will never quite dry out until you are able to take your shoes off. To avoid this uncomfortable experience, opt for waterproof golf shoes regardless of your home climate. In addition to looking for waterproof design and materials, you also want to find golf shoes that are comfortable on your feet. Most rounds of golf take four hours or more to complete, meaning the comfort of your feet should be a top priority. Uncomfortable shoes can make a round of golf rather miserable, and you should be enjoying your time on the course with your friends – not counting the holes until you are done so you can take your shoes off. While it is certainly tempting to shop in the discount section for a new pair of shoes, this is one purchase where you are usually going to be better off spending a decent amount of money. Buying cheap shoes is a decision that will come back to bite you in short order – either in terms of the comfort of the shoes, or in terms of their durability. To help you find the right pair of waterproof golf shoes for your needs, we have listed some of the best options below. Feel free to follow the included links to learn more about any of these models. 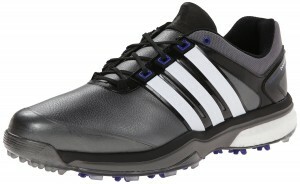 Adidas is one of the most popular brands in the golf shoe business, and their Adipower Boost model has all of the performance characteristics you would expect from such a notable brand. These are synthetic shoes which have a molded EVA tongue, a rubber sole, a TPU outsole, and more. They are offered in several different color combinations, so take a moment to pick out the version that will look best on your feet. You might not immediately think of the New Balance brand when you think about golf shoes, but they are becoming more and more popular with serious players. 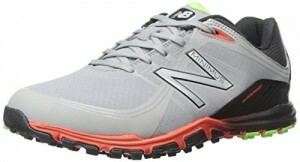 New Balance is known for making a quality product, and that is the case with their Minimus Golf Shoe. This is a low profile shoe with an insole that is designed to wick away moisture. One nice feature of these shoes is their spikeless design, meaning you won’t have to replace spikes after using the shoes for a period of time. Thanks to their minimal design, these shoes are also on the lower end of the price range for quality golf footwear – which is always a nice bonus. 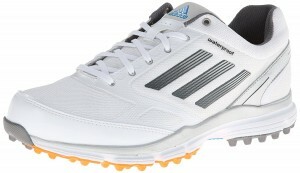 For the budget-minded shopper who still wants to purchase a quality shoe from a top brand name, the Adidas adizero Sport II Golf Shoe is a strong pick. These shoes are usually available for less than $100, which represents a great value in this market. However, you will still find plenty of performance within this pair of shoes, and they have a spikeless design that cuts down on maintenance and costs down the road. A few different colors of the adizero Sport II are available for you to pick from, including Black, White, and Metallic Silver. You wouldn’t expect this list to end without an entry from footwear giant Nike – and you would be right. 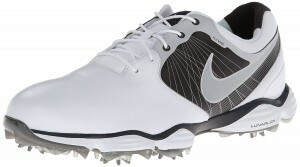 The Nike Lunar Control II Golf Shoe is one of the leaders in the market, so it is a model that you should certainly consider. There are 10 different color combinations that you can sort through as you shop, and there is Lunarion cushioning throughout the length of the shoe. The rubber sole will help keep water away from your feet as you play, and Nike golf shoes are well-respected for their comfort on the course. In addition to names like Adidas and Nike, FootJoy is another brand that is always well represented on the golf footwear market. At this point on our list we find the Hydrolite Spiked Golf Shoe, which features leather and classic golf shoe styling that pays tribute to the history of the game. With waterproof uppers guarding your feet, you should be able to stay dry from the first tee on through to the last green. Golfers have been trusting the FootJoy label for years, so you can rest assured that your feet are in good hands when you go this direction.